Today is the First Sunday of Lent, which is commonly called the Sunday of Orthodoxy or the Triumph of Orthodoxy. This “triumph” is dedicated to the historical event of the restoration of iconography to Christian churches that took place in the year 843. 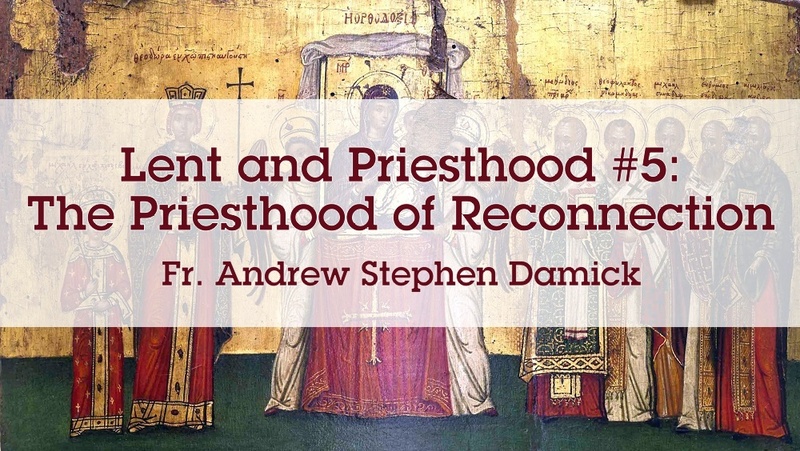 And we also continue our Lenten series on the priesthood. This is the fifth installment of this ten-week series. So let’s draw these themes together. First, we should ask why we would celebrate the return of icons to churches by dedicating a full Sunday of Lent to that historical event. This restoration happened after roughly one hundred years of iconoclasm, which was not only the heresy of rejecting icons but the sinful act of smashing them into pieces. So this was a big deal when it happened. A time of conflict came to a close, and church life returned to normal after a long period where displaying icons on the walls was something that could cause trouble. But there’s something more theologically important going on here that makes this worth celebrating and raises it above other kinds of conflict resolution in church life. It is about what icons are actually for. They’re not just beautiful décor. Icons preach a theological message. Icons preach the Gospel. And it is what they say about the Gospel that makes them appropriate for our extended meditation on the priesthood. So what is that message? What is the message that was being silenced during the iconoclastic period? What are the icons preaching to us? They are preaching that the Son of God is incarnate. What does this mean? The incarnation, along with the doctrine of the Trinity, is one of the two cornerstones of Christian faith. If you do not believe in these two doctrines, you are not Christian. So this is really critical. And it has everything to do with our daily experience of being Christians. The doctrine of the incarnation is that the Son of God, the Second Person of the Holy Trinity, became truly human even while remaining God. He is one divine Person Who has both divine and human natures. Jesus Christ is the God-man, not half God and half man, but fully God and fully man. He is one Person in two natures. This makes Him the bridge between God and man. The separation that occurred when Adam and Eve sinned, cutting themselves off from God, is now overcome in the Person of Jesus Christ. He does not merely join God and man together, but He is God and man together. The reason why icons are preaching this is because they depict a visible Jesus Christ. Prior to the incarnation, God was invisible, because He was not a created being in any way. But now that the incarnation has happened, now that He has taken on createdness, God the Son is visible as Jesus Christ. What an icon of Jesus is saying is that God is now man. And by extension, all other icons are saying the same thing, because those icons are of people who are participating in that incarnation event by being united to Christ. So how does this connect to our Lenten theme this year of the priesthood? In the priesthood, the priestly act of sacrifice has the purpose of reconnecting the worshipers with God. This narrative is fundamental to all religion. Indeed, the word religion comes from a Latin term that means “reconnect.” Our fundamental problem as human beings is that we’ve been disconnected from God, a disconnection made possible by the sin of Adam and Eve and made worse by our own sins. So when a priest offers up a sacrifice on the altar, he is bringing something to God so that God will act upon it. And then when God acts upon that offering, it is then returned to worshipers having been changed. And when they partake of that offering, it changes them and brings them into contact with God. This is the basic dynamic of sacrifice. So when the Son of God became also the Son of Mary, He became truly our High Priest. And He offers up humanity to His Father through His own flesh. And humanity is changed in its contact with God in the incarnation. And then He is given to us. And we participate in His life and come into contact with God as a result. This dynamic works in the ordained, sacramental priesthood, as well. When the priest offers up the Eucharist to God, that act is possible because of the incarnation. There would be no flesh and blood in God without the incarnation. But because of the incarnation, the Eucharist is possible. Because of the incarnation, the ordained priesthood is possible. 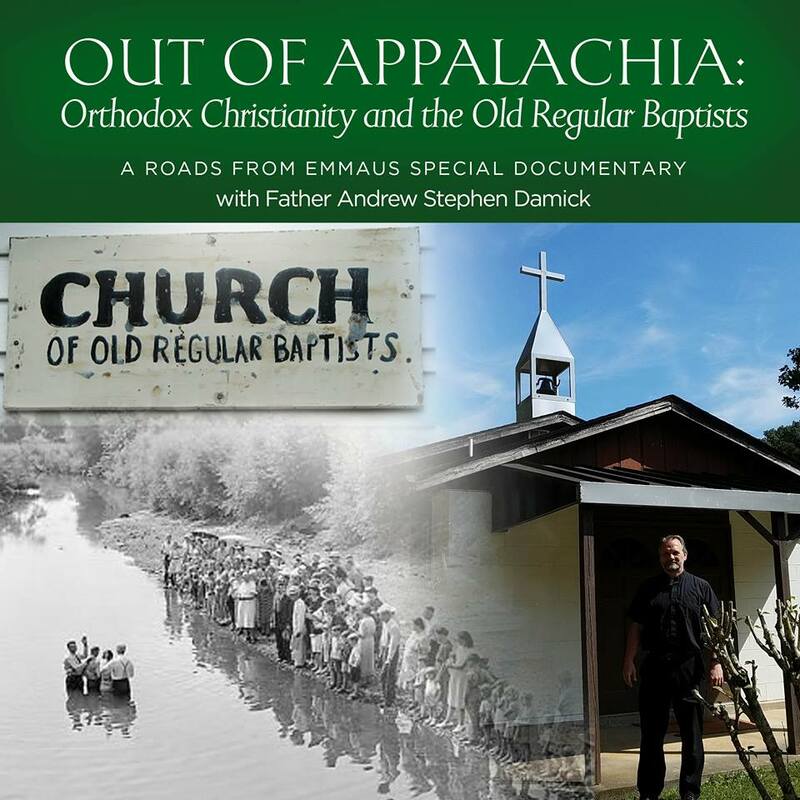 And because of the incarnation, the royal priesthood of all Orthodox Christians is also possible. We see the dynamic of sacrifice-as-reconnection in the Eucharist but also in all that we eucharistically offer to God. What is the dynamic? It’s the offering, the transformation, the return, the participation, and the contact. This works whether we’re offering bread and wine to God or anything else—our time, our labors, our tithes and offerings, our relationships, and so on. All these things we give to Him and receive back from Him with His transforming touch, and we connect to Him when we receive them. We are all a royal priesthood, and our offerings to God bring us into contact with Him because of how He changes them and returns them to us. So we find the incarnation functioning on all three levels of the priesthood—the High Priesthood of the incarnate Son of God Jesus Christ, the ordained priesthood of our bishops and presbyters, and the royal priesthood that is the People of God. Everywhere, the world-changing event of God becoming man is present and operative. Everywhere, the priesthood functions to reconnect us with God through contact with Him by means of sacrifice. We re-enact today the return of icons to our churches and participate in that event that happened so many years ago. But we do not make this procession with icons as an aesthetic statement that churches look better with icons. Rather, we make this procession as witnesses to the same reality that the icons themselves witness to—our God became man. And in that act of incarnation, our God became visible. And that is what the icons are saying. We call icons “windows to heaven” because we use them to connect with heaven. We use them to connect with Christ and with all His saints. This priesthood that we share with our Lord Jesus has this same purpose—connection with God. He has Himself become that connection by being the God-man, the One Who is both God and man, the One in Whom there is no separation between God and man. And we participate in that connection through the ordained priesthood and through our royal priesthood together. This is the priesthood of reconnection. And we reconnect with God through His loving act of incarnation. To the Incarnate God Jesus Christ therefore be all glory, honor and worship, with His Father and the Holy Spirit, now and ever, and unto ages of ages. Amen. For many years I never had my question answered ‘why did God deem the act of sacrifice as a way back to Him’? Why did He choose this means? Thank you for explaining this basic dynamic, for without understanding this, the whole idea of sacrifice is just a mere act. I also had trouble trying to grasp how, as we receive Christ, we offer “all” back to Him. Again, thank you…these things are beginning to make much more sense. I’ve been reading Fr. Schmemann’s “Great Lent”. In chapter 5 he speaks about the original sin of Adam as breaking the fast, how food was the thing that initiated our separation from God. As he is explaining this, he made a statement I just couldn’t grasp: “Thus to eat, to be alive, to know God and to be in communion with Him were one and the same thing.” Now, after considering this ‘basic dynamic of sacrifice’, as I understand it, the separation came when Adam took that food to himself, apart from God…and now, even in our eating of food, when we receive this food from God (or anything that God gave us in creation) in thanksgiving (rather than for an ulterior self-centered motive), we offer it back to God (sacrifice). This is what Fr. Schememann meant in that statement, and an example of what your are teaching on our position of being a royal priesthood. Looking forward to future posts! Blessed Lent, Father.